Tatara had the most liked content! The beginning of this story goes back a couple centuries. Yukimura was born during peaceful times in the land of snow. There were no wars with other lands, no violence, crimes. Nothing that would bring the need of shinobi to this peaceful era. He was born into a poor family, with a loving mother and a father, who worked at a farm providing for his wife and new-born son. The name Yukimura came from the child’s pure-white hair, resembling snow and as a young boy he always loved to play with the snow during winter as that was the only period in the year where the whole family could be together. As soon as the snow fade away, his father was gone to farm, to raise the hay. From very young age, Yukimura was inspired to become like his father. A loving figure, providing for his family. A truly honest and happy man even without riches and glories, as his family was all he ever needed. And to have a loving, faithful wife just like his mother. A truly happy and perfect family. Around the age of ten, he was already helping out his father with the crops as the demand for food in the larger villages suddenly became larger. There were people traveling more often, carrying ninja tools by their waists as there seemed to be somesort of turmoil in the neighbouring lands, ones that were far away from Yukimura’s home village, that seemed so dislocated from the rest of the world, away from harms way. Rumors of one man creating enough chaos to distrupt the balance between the villages were told between villagers. But life is unfair. 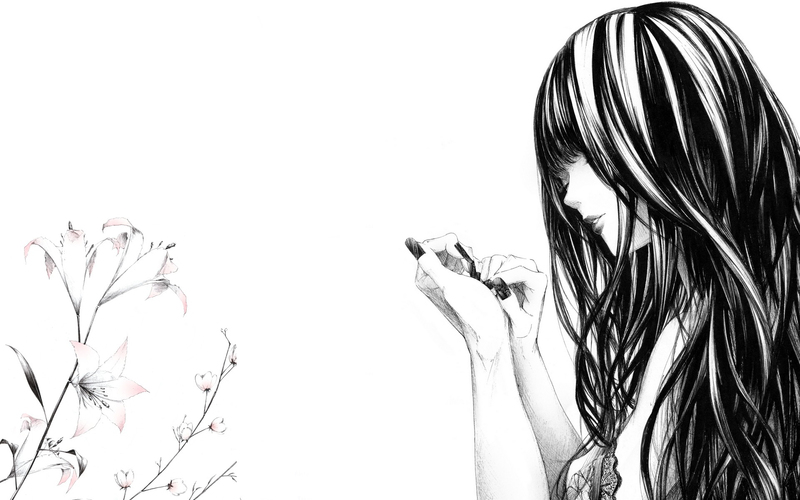 Once sought happiness and joy can be lost with just a blink of an eye. The picture of a happy family, parents, their child, torn to pieces. The house? Razed to ashes. An image of a boy crying out-loud infront of the blazing flames, holding the bodies of his parents within his hands. Such was Yukimura’s fate, to witness death of his loved ones, to lose everything he ever held dear to his heart and to fear life itself, as to live was to be meant to be evil and for one to be evil, would one take life. That is what Yukimura learned from his experience, that is what shapeshifted him in an un-imaginable and ugly way as he threw away the happines, good and love. To become a monster who’s story is yet to be untold. 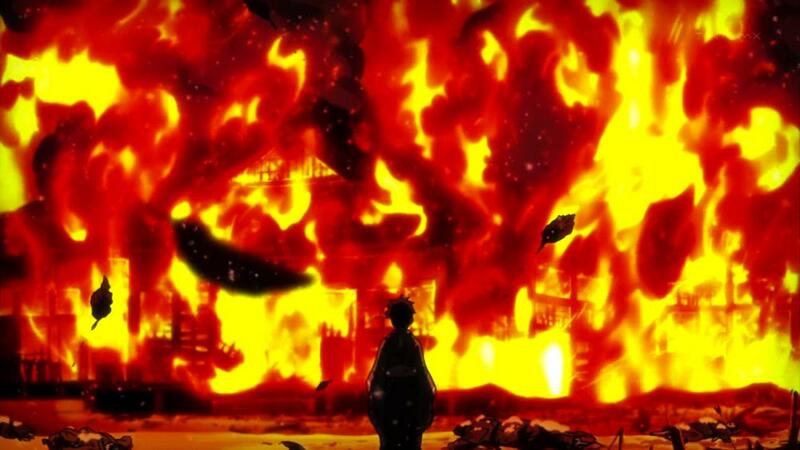 Five years after the incident, Yukimura was living in one of the larger villages of the land of fire, known as Konoha. At fifteen years of age he led a squad of three as a captain, with his two other squad members from the academy Hojin and Cecilia. Previously their squad captain and teacher Ayato, a high-ranking Jonin was in the lead, but decided to promote Yukimura to the captain position because of his seemingly limitless potentional and known skill in both leadership and ninjutsu. Yukimura’s squad was constantly assigned to the most dangerous B+ rated missions. Be it an espionage, assassination or warfare they excelled in every one of those. During this period of time, the need for shinobi was wanted more than ever, as the Land of Fire and Land of Wind were at full-scale war with eachother because of a certain man pulling the strings from the shadows. Halfway into this war, Yukimura's squad was assigned to an S-Rank mission. A mission so important that their previous squad Captain, Ayato had no choice but to come with them, due to circumstances and nature of this mission, which was to retrieve stolen documents from the Hidden Sand Village. This meant to inflitrate the village without being noticed, find the documents within the village and return safely with the documents or to destroy them. The squad moved out at the rise of sunlight the next day after the assignment was given out. Two days later, they reached the village. The day after that, they finished recon and on the fourth day, they infiltrated the village. 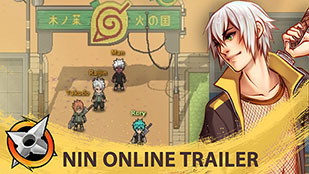 The mission went south upon finding the documents as they were ambushed by the Sand’s ANBU Elite forces who had intel of their mission, leaked out by a spy inside the Leaf’s system. After clashing with the ANBU, the squad managed to escape from the village, only to briefly hide themselves within the desert as they were still being traced by the ANBU who had the advantage in landscape. 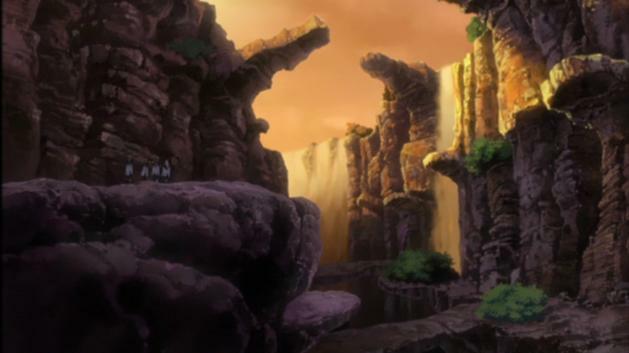 Ayato, the squad Captain set a perimeter in-between scaly mountains, around what seemed to be a oasis. The rest of the squad were assigned to their outposts, and await for further instructions. During this, Yukimura stumbled upon a collapsed cave with seemingly large scarabs crawling around, trying to dig their way to beyond the rocks as if they were being lured by something from the inside. And just like the insects, Yukimura felt something as well. A strange sensation of energy he had never felt before, a stirring feeling ran through his nerves, pulsating, drawing him closer. He cleared the way and re-opened a long forgotten tomb, his presence was not welcomed by the even larger ancient scarabs he discovered inside the cave. The difference in size compared to those he saw outside the cave was astonishing, and yet from his analytical perspective, they were of the same species. Exploring the cave further and deeper, leaving behind a trail of green liquid dripping from his hands that he used to pierce through the overgrown insects, he had at last found the source of power he sensed from outside. What he felt coming out of the source was hard to describe but it appeared to be a small white tree, growing slowly in the deepest pits of the tomb. Out of curiosity, he approached the tree which suddenly reacted to his presence. Several roots sprung out of the ground and made their way towards Yukimura, trying to bind him. Surprised by such scenery, he quickly reacted by cutting through them with his palms, engulfed in chakra, a technique known as chakra scalpels. The scene felt never-ending. The roots wouldn't subdue as they kept growing back. A moment passed and then, Yukimura had halted all his movements. His eyes opened wide, surprised by a woman appearing infront him, telling him to give in to his hunger he had tried so hard to subdue over the five years after the incident. A year had passed since that faithful day. Ayato, Hojin and Cecilia had mourned and buried Yukimura, believing that he fell in battle with the enemy as when they had approached the outpost he was assigned to, what they witnessed was a group of Sand ANBU Elite. 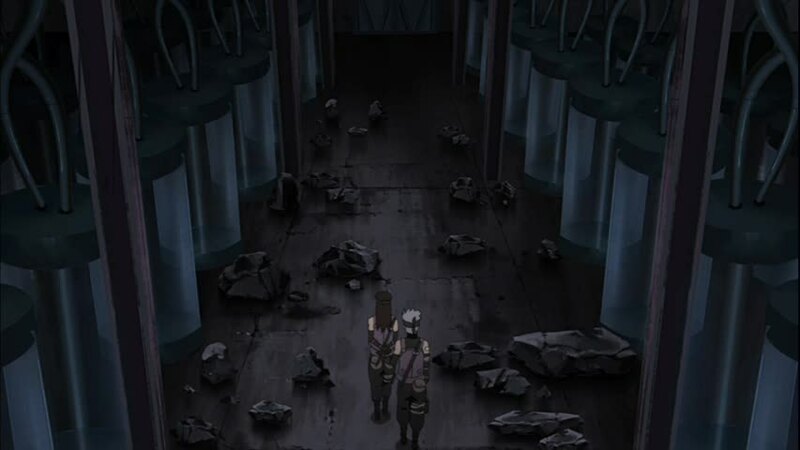 All dead, torn to pieces in a way that was nothing of human, and an entrance to somesort of a tomb that was sealed off by someone with a certain barrier-jutsu. A few months later, reports of overgrown vermins coming from the sewers below the Konoha were sound across the village. The entire village had to join forces to subdue the sudden outbreak of those mutated rats. 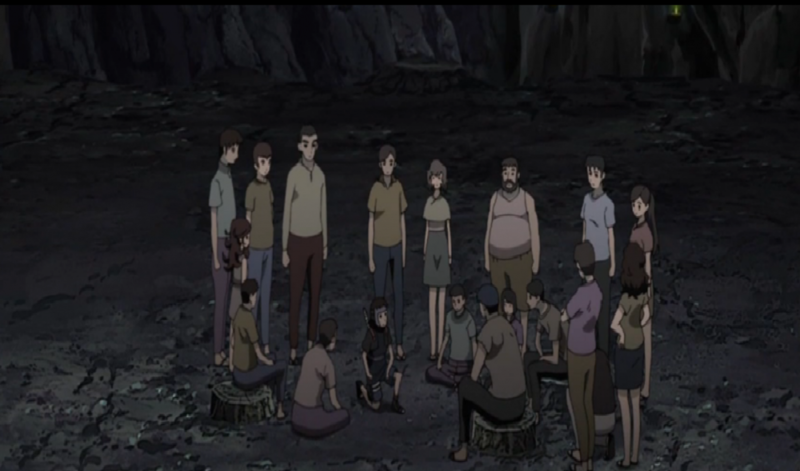 The Hokage gave order to those of ranking Chuunin and above to cease all the rat-exterminating actions and instead allow the younger genins to work it out together, explaining to the public and the younger generation that this would be perfect opportunity for them to train and prepare for a much larger war they had with a certain man powerful enough to take on both of the villages. On the other hand, the Hokage was no fool and assigned some of the higher ranks to investigate the source of the mutation as he believed it was man-made. Couple months after that, reports of people gone missing from within the village were carried out by several citizens and shinobi alike. Family members, children, comrades all went missing without a trace. This happened not only in the land of Fire but also Wind. While the citizens and shinobi of both lands accused one and another for the acts, the Daimyo’s had signed a peace treaty not so long ago, believing that no shinobi under the Daimyo would ever disobey that treaty they came to conclusion that it was someone outside of both, an unknown rogue. A month after that conclusion, the Daimyo and the Kage of both lands had an emergency meeting as they received reports of several those gone missing, found dead with strange what appeared to be dual-syringe marks on their necks. Those corspes left trails that eventually led to abandoned labs' widespread across both of the lands. ’’Something like this has never been seen before, our own villagers and shinobi are being taken from our villages without a trace. We cannot allow this especially during this time of chaos with that Hellspitter, who is currently at war with both of our forces. No one has a clue about these experiments and the Scientist behind them, not the Kage, not the ANBU, not the police task forces. We the Daimyo assign both of the villages to this Joint Force Investigation. Share intel with eachother on this case, work together, do whatever you can. Find the culprit and stop this madness before we lose control over our citizens.’’ – Daimyo of the land of Fire. Few weeks after the joint force investigation between both of the villages had begun, two groups of citizens and shinobi alike found themselves trapped in some-sort of a cave, separated from eachother. The shinobi were group A, as the letter was painted on their torso and the citzens were group B. To their own surprise they found out that they were all from different villages, some appeared to be from the Sand and some from the Leaf, pit together with eachother. Panic broke loose among the group B, while group A were trying to analyze the situation with a calm attitude, just like they were taught to. Upon closer inspection they noticed that they all had strange dual-syringe markings around their necks, they also felt a great disturbance in their chakra but they couldn’t feel or sense anything outside the cave. After some time both of the groups stumbled upon a letter, left for each of them. After reading that letter out loud there was a moment of silence, a shinobi from the hidden leaf briefly glanced at a shinobi from the sand and recognized him as being the one who killed his son in battle. The rest of them also began recognizing one another from certain times in the past. Shortly after, the group divided themselves between the villages and engaged in combat with one another. The citizens looked at eachother, in a slight disgust. Realising they were from different villages that were at war not so long ago but unlike the shinobi they were capable of looking past of what happened before and to work together. They gathered up and formed one large, united group, and proceed forward. As they passed the first phase, they stumbled upon several weapons attatched to a wall, swords, spears whatever you could find useful in battle. The number of tools left for them was the exact number of the people, and after being armed they proceed to phase two. They ended up in what appeared to be a larger area, with more light in the room coming from several lanterns across the area. In that area they came across several mutated beasts. Those who lacked the courage to fight died but those who gathered all their inner strength and courage passed through and eventually escaped from the cave. Moments after the last survivor managed to escape from the claws of a mutated beast not far from the exit, a certain figure appeared at the entrance wearing a white hooded robe. Glancing at the beast charging at him, followed by few others, the man said ’’Game over.’’before sealing the cave completely and placing a simple barrier jutsu upon it. Turning around and revealing parts of his face to the survivors by removing the hood from his head, a man wearing a white hooded robe and a red metallic face-mask, with long white hair and crimson red eyes appeared before them. Sixty years has passed. After the experiment was considered a success, Yukimura had halted all of his projects and dissapeared without a trace. The survivors returned to their villages with powers beyond their imaginations. The Medical Ninjas studied them and their powers for years to come, later on developing a pseudo-outcome of what Yukimurahad achieved, that was named ’’The Cursed Seal’’. They used the power of the Cursed Seal to finally overcome the war against the Hellspitter, who was so close to wipe them all out. 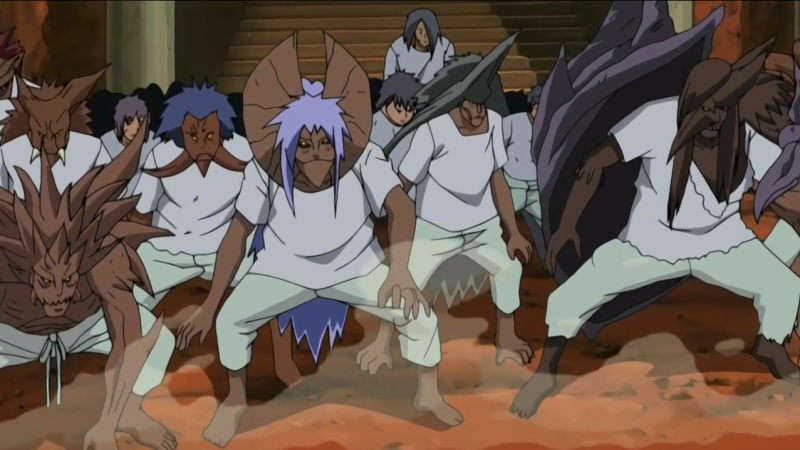 The failed experiments, later known as the ’’Cursed Hosts’’ eventually broke through the barrier set on their tomb and terrorized the smaller villages nearby, spreading their disease across the lands until they were initially put down and later on controlled by the Konoha and Sunagakure. Two centuries passed. The ninja world had become far different from what it was before but the problems between the villages eventually remained the same. The power of the cursed seal was wide-spread across the ninja world. Weaponized and now used by the authorities to gain advantage over one another. On a certain day in the winter, two boys were born in the land of water and fire. One with beautiful white hair and blood red eyes, the other complete opposite pitch black hair and round black eyes. The story that goes beyond, we all know of. Yukimura, the Blood Medic and Niti, the Hellspitter. Reborn. Yukimura is considered to be ''twisted'' by many of those that know him. He feels no remorse when taking someone's life but never kills an innocent person. While considered evil by everyone even by himself, he does understand that the way he does things are to be considered evil but he also believes that in the end what matters the most are the results as he always thrive to make the world a better place. He has a very composed and stoic posture, often not revealing any emotions from his facial expressions though sometimes coming off as disappointed or bored, he also does not seem to feel any affection to other humans, be it a female or male. Although he does show compassion to those who were treated wrong and those who have the potential to become great but lack the courage to do so. He likes to control situations and especially people, being a master at psychological manipulation, those kind of traits also make him a great leader. He is also very cunning and probably one of the brightest beings alive. He is very proud of his vast knowledge in various areas, especially medical ninjutsu and science. When asked what he thought of his comrades he replied, ''Means to an end.'' meaning he does not believe in such bonds. He does believe in wisdom, true strength and power as he highly respects those who possess such qualities. The parts of his name ''Yuki'' means Snow while ''mura'' refers to Town, reference to his true origins to be somewhere in the Land of Snow . Unlike Niti, whose spiritual connection is of divine history, Yukimura's line-age of descendants were all artificial humans, engineered by him so that one day he would be Reborn again. Yukimura origniated from the land of snow but chose to migrate to the land of fire after the tragedy that took away his home. In their previous lives, Yukimura cursed Niti for what the latter did to his family and Niti cursed Yukimura, for being the reason of his demise. But in their current lives they are close-allies. Yukimura's favourite hobby is conducting experiments. Yukimura wishes to achieve a perfect world. Yukimura's favorite food is lasagne. Yukimura's favorite words are ''Scum'' and ''Dissect''. Yukimura possesses a unique Kekkei Genkai: Blood Release.